Anyone sitting down to write a story, whether it’s for television or any other medium, has to decide where to start. It seems like a simple question. You start at the beginning. A protagonist’s story arguably starts from the moment of his or her birth, or earlier. So for purposes of this discussion we’ll call the beginning the “inciting incident” that kicks off the action of the story at hand. The inciting incident can happen before or after the camera begins to roll, however, giving the writer choices to make about Point of Attack. Ugly Betty is the story of Betty Suarez’s career at Mode magazine. The inciting incident is her getting the job. The pilot employs a very early point of attack; we go with Betty on her interview at Mode. We are there the moment she gets the job. The writers could have chosen to start the story even earlier, say on her last day of college as she dreams of working in publshing, or later, perhaps on her first day at Mode. The choice was made for good reason, though. It is important that we know why Betty is hired (because she’s “ugly” and therefore Daniel is unlikely to sleep with her). Other shows, often action-packed dramas, go for a late point of attack. A great example of this approach is The Walking Dead. There is a little background, at the very beginning, but essentially the story starts when Rick wakes up. That is, he wakes up to find that the entire world has been obliterated by zombies. What? The world was obliterated by zombies and WE MISSED IT? It’s a ballsy move when you think about it. But it works because, as we all now know, the show is not about the zombies. It’s about the survivors. Putting us in Rick’s shoes throws us off-guard, lost in this gross new world, and ready to make sense of it as we sympathize with our protagonist. This is not to say that characters like Betty don’t have back story. If they’re well-written, of course they do. 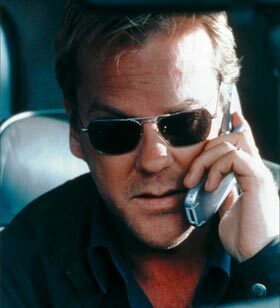 The thing is, you can never really see a character’s whole story–not even Jack Bauer’s (24). You could argue we see Jack’s entire arc since the story–for an individual season–takes 24 hours and we see 24 hours’ worth of action. But even Jack has back story. In the pilot, for example, we learn that, prior to “the longest day of his life,” he has had an affair and has begun working on repairing his marriage. A lot of stuff has happened and it is all relevant to his present situation. This entry was posted in 2000s, 2010s, About Pilots and tagged character arc, inciting incident, pilots, point of attack, writing by meekthegeek. Bookmark the permalink.